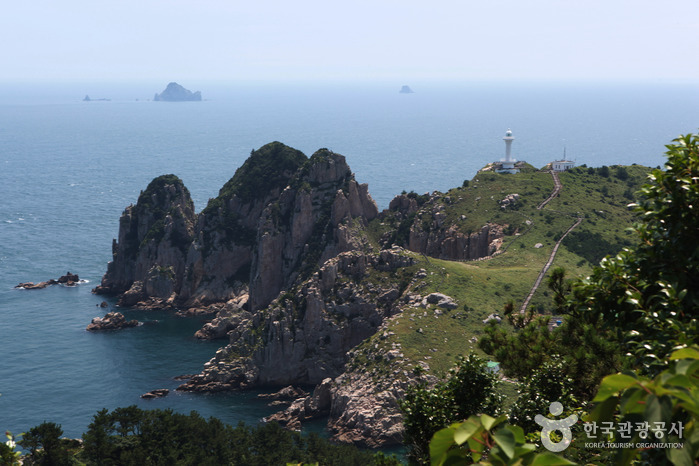 One of the magnificent sights here is the breathtaking combination of bizarre rocks and the stratified bluffs of Deungdaeseom (Lighthouse Island) and Somaemuldo Island. At low tide, one can walk from one island the other. 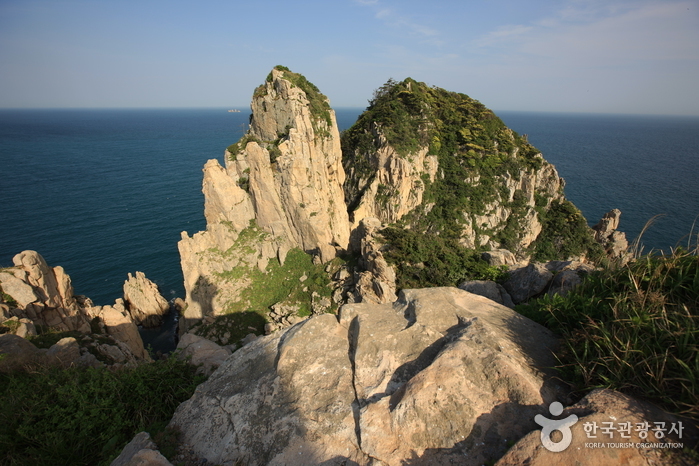 Yongbawi Rock (Dragon Rock), Buchudaebawi Rock (Buddha Rock), Geobukbawi Rock (Turtle Rock), Chotdaebawi Rock (Candlestick Rock) and Geulssingigeul Cave are absolute masterpieces created by Mother Nature. 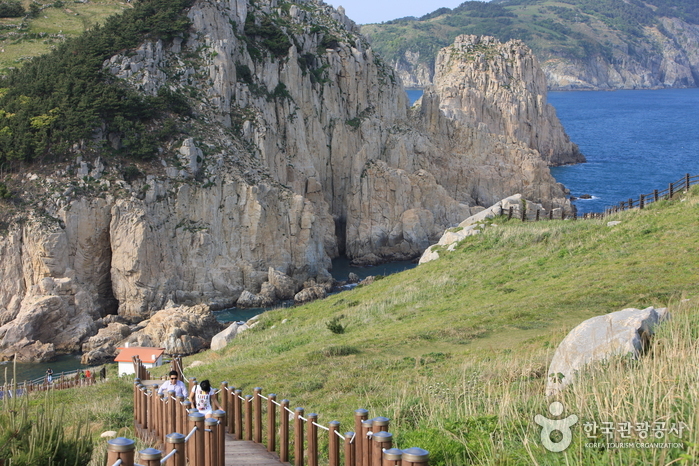 Another must-see is the view of Somaemuldo Island from Deungdaeseom Island. From there, the rock formations look like a sitting dinosaur. Nammaebawi Rock (brother and sister rock) is made up of two rocks, one at the top and the other at the bottom. 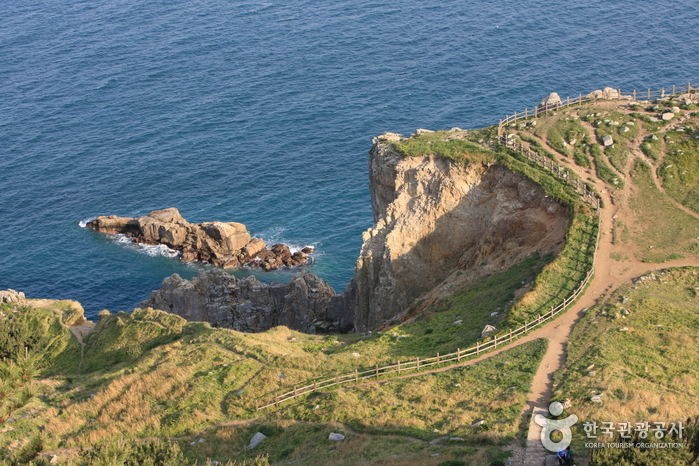 The name of the rock was inspired by a folk tale of a twin brother and sister. The upper rock is also known as Sutbawi Rock (charcoal rock) as it is bigger and darker than the other, while the bottom one is called Ambawi Rock. Maemuldo Island's name originated from the fact that the area was one of the largest producers of maemul (buckwheat). Somaemuldo Island was named as such since it is a small island sitting right next to Maemuldo Island. 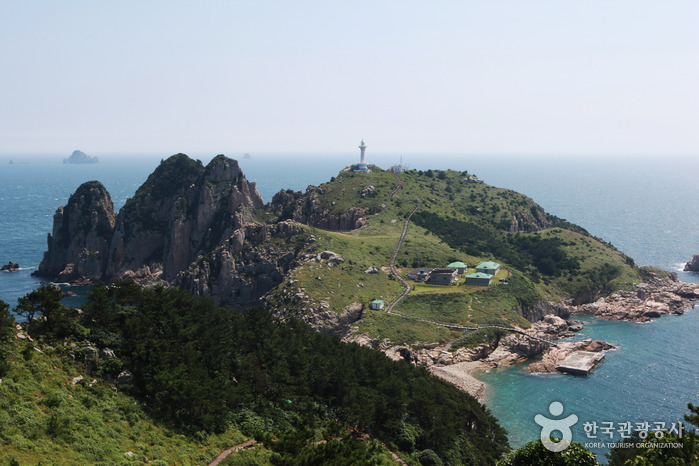 In 1904, The Kims from Gimhae moved here from the mainland as they heard that the island was so abundant in food that no one would starve. The Kims settled here and established a whole village. 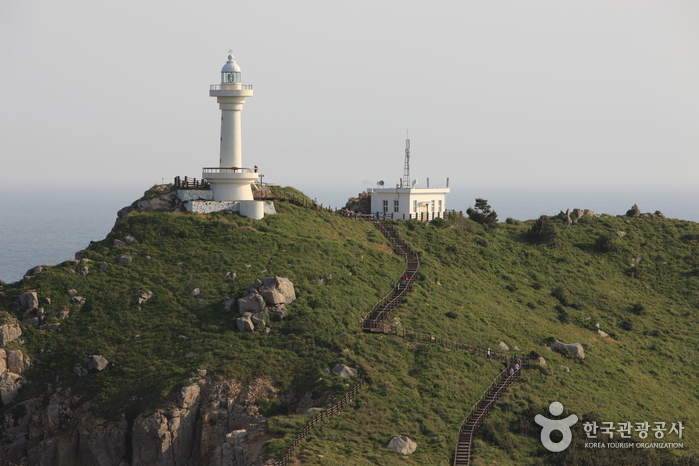 A growing number of visitors come to the island every year to enjoy the picturesque views. Park at the ferry dock and go to the island by ferry. Take a bus from Seoul Express Bus Terminal to Gohyeon Bus Terminal. 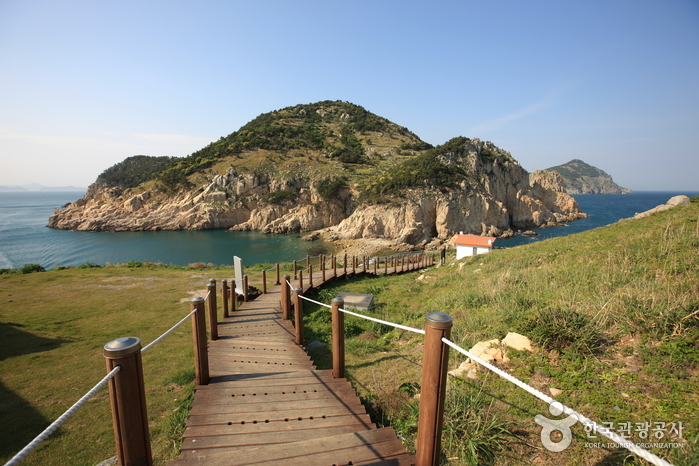 Take a ferry from Tongyeong Passenger Terminal to Somaemuldo Island.